I will always remember every appointment with our developmental pediatrician where I was faced with the decision to try medication for each of my children. It is a HARD decision. But it is also a choice. 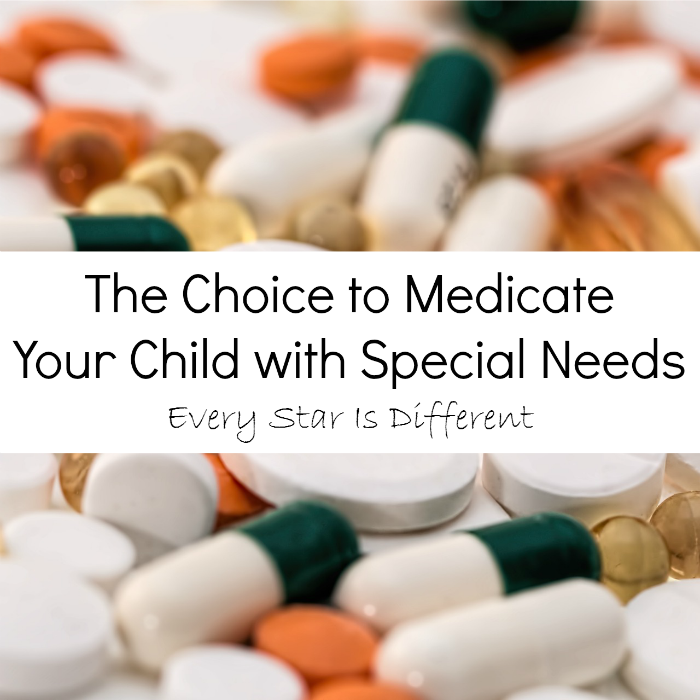 I have written this post in hopes that it will empower you as a parent when you are faced with the choice to medicate your special needs child. The title of this post alone can stir up strong emotions in so many people for different reasons. It stirs up strong emotions for me. I ask that you read the whole post before passing judgments of any kind. I have included the good, the bad, and all the in between. Every child and every situation is different. 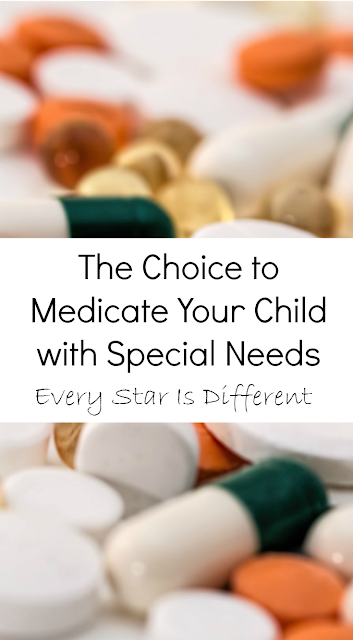 Why would you choose to medicate your special needs child? 2012-I can still remember it as if it were yesterday. Bulldozer and I were in his developmental pediatrician's office. This was his third appointment. I had given the doctor a write up of Bulldozer's progress, my concerns, his behaviors, etc. The last six months had been particularly rough with Bulldozer. He had been diagnosed with autism in August of 2011. All of his therapies were now in place. He had speech therapy three times a week, occupational therapy two times a week, and physical therapy one time each week. Bulldozer was in a special education preschool class, attending five days a week. 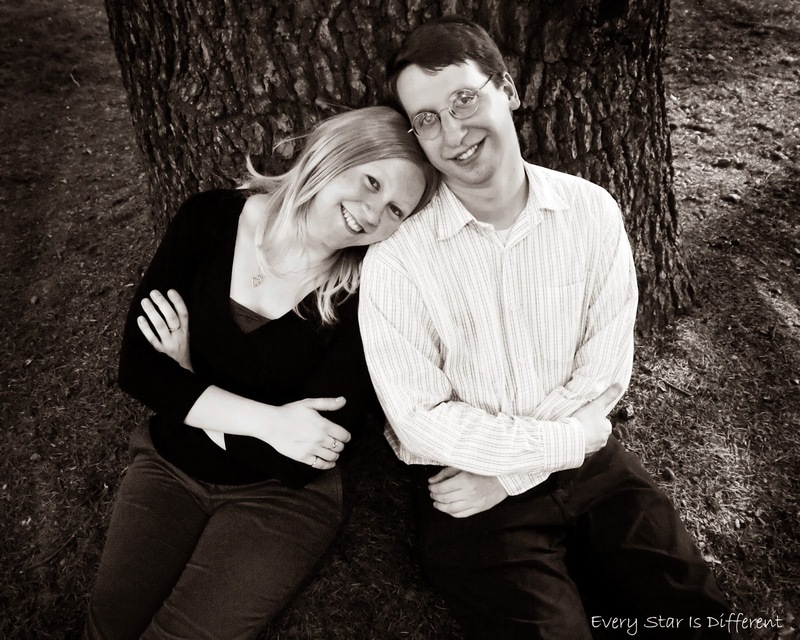 His teachers and therapists had sent his IEP evaluations and quarterly reports with us. Still, his ADHD tendencies, lack of safety awareness, constant need for visual stimulation, and inability to speak more than two word utterances were leading to some extremely scary and dangerous situations. Mind you, at the time, Bulldozer was only three years old. The doctor read through the information the school sent and what we had prepared. She looked at me. "Do you think you can keep Bulldozer safe?" I was taken off guard by her question, and honestly a little scared, and a tiny bit insulted. What did she mean? Our home was baby proofed and toddler proofed in every way imaginable. If it wasn't before, it was now, due to the crash course Bulldozer was giving us, as parents of a child with special needs. Our doctor felt it was time for medication. Even with 100% adult supervision, and a one-to-one at school, Bulldozer's impulses were so quick, it was taking less than a second for him to get himself into dangerous situations. I cried. Thankfully, I trusted our developmental pediatrician. My husband and I went along with a two week trial. Bulldozer was prescribed a medication that would work instantly. We were warned the first few days would be rough, which they were, but after that, the medication should work well for him. During those first few days I cried a lot. Bulldozer wasn't himself. I felt ashamed and embarrassed as a parent. What type of parent has to put their three year old on medication? But then, after about a week, Bulldozer transformed. The doctor had said the medication would allow him to tell us what he was going to do before he did it, so we'd be able to have time to respond to him. I didn't know that would really happen. It was as if overnight Bulldozer learned to speak 4 and 5 word phrases. He did stop and tell us what he was going to do before he did it. Not only that, his dangerous behaviors practically went away. Bulldozer was doing amazing. Today, Bulldozer remains on the medication. He's still doing absolutely fabulous with it. I could have never imagined that medication would have been the answer we were looking for. In Bulldozer's case, it was. 2012-Princess suffers from Reactive Attachment Disorder (RAD) and Post Traumatic Stress Disorder (PTSD). At this point in time (she was three), she wasn't doing the greatest. She had started hurting herself in multiple ways. One particular day, her self injurious behaviors really scared me. I called both our pediatrician and developmental pediatrician to report the incident. We were in our developmental pediatrician's office less then one week later. Once again, I was faced with the decision to medicate another one of my children. This time I felt more prepared. I felt different. Princess was adopted through foster care. She had been removed from a very abusive home. 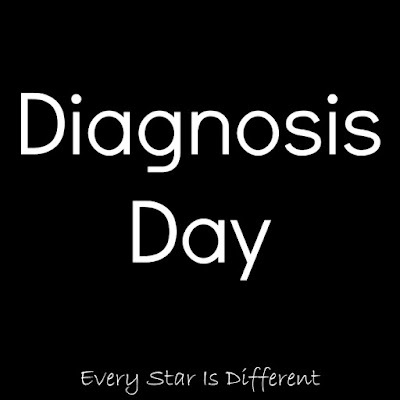 All of her diagnoses were 100% preventable, if it hadn't been for the trauma she'd experienced before she came to us. I wanted to do whatever I could to help her feel safe, so she'd stop hurting herself. If medication could help her like it helped Bulldozer, I was for it. Little did I know, I was entering a completely different type of situation. Finding medication that would help her would be a slow process. The medication would need to be introduced in a small dose, then six week later, we'd be seen again. If all was going well, it would be increased. But there was a catch. If the medication was increased too much, which we would only know through trial and error, Princess' behaviors could become worse, or new ones could emerge. She would become activated. I was nervous, not only for what might happen, but the thought that getting Princess help could take so long. Fortunately, after 3 months, we found the correct dosage, without her being activated. The medication helped Princess. Her behaviors became less severe. They didn't go away, but it seemed that her anxieties were more manageable. This helped all of us breathe a little bit easier. Princess continues to take medication for her anxieties. 2013-Dinomite has autism, an anxiety disorder and ADHD. He was the last to try medication, at the age of six. It was suggested because he could not function and cope in daily living situations, especially those that were academic. His meltdowns were severe, sometimes lasting for hours. Dinomite is an intense kiddo to begin with, but add extra anxiety and stress... Times were tough. In all honesty, I hadn't even thought about medication for him. 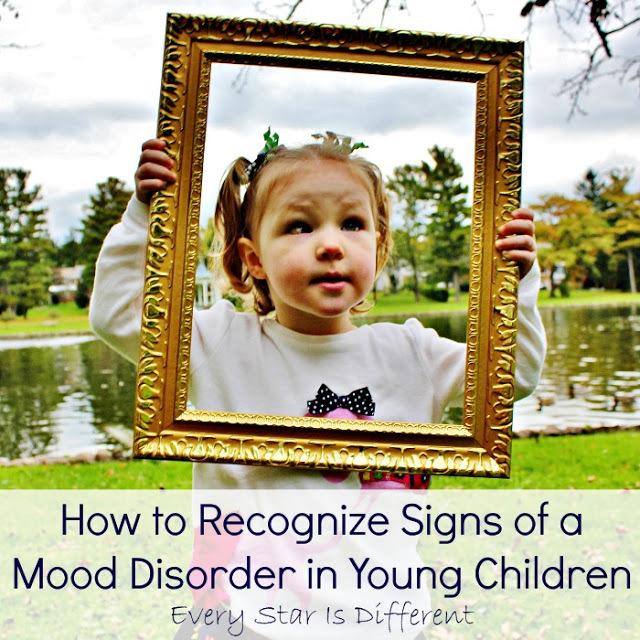 It wasn't until I was in the office of our developmental pediatrician discussing the behaviors with her, that I realized we were at that point. Seeing how medication had helped Bulldozer and Princess, I was on board to try. Just like Princess' medication, we would start out slow. Dinomite was excited to take his medication. He wanted relief from anxiety just as much as we did for him. It seemed that medication started helping him much faster than Princess' medication. He was able to complete his school work without tears. There weren't as many meltdowns. When there were, they weren't as severe. Six weeks later we increased the medication, as we had been instructed. It only took a week to see, that the increase was doing more harm than good. Dinomite became physically aggressive. We immediately cut the dose back down. The transition back to the initial dose, took a week. It was ROUGH. We then took him off the medication all together because the negative effects of the medication outweighed the positive. We have had to take alternative routes with Dinomite to help him with his anxieties and meltdowns. It has taken time, but he's doing okay. 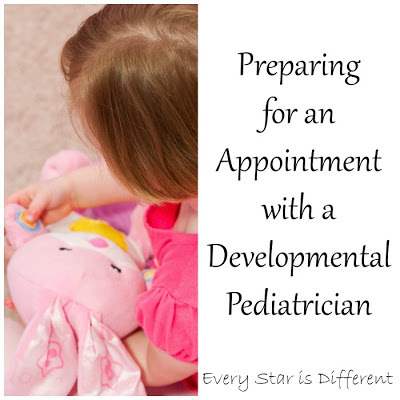 2014-We're at our regular three month check ups with the developmental pediatrician. I had significant concerns about Princess. The winter season had been extremely difficult for her. Among other very concerning behaviors, Princess was not sleeping. She'd be up for hours in the night, afraid to sleep until it was day. Her behaviors were more severe during the day because of the lack of sleep at night. I knew she needed more medication. This time I wasn't afraid to ask for it. There were two routes we could take. We could give her medication to help her sleep, and then possibly lessen the behaviors during the day. Or, we could increase her anxiety medication and hope that we didn't reach activation. We decided to try the sleep medication. Within days, we had a completely different little girl. She's still struggling, but not nearly as much as she was. It's amazing what a good night's sleep can do. Princess continues to take sleep medication to help her sleep at night and function during the day. 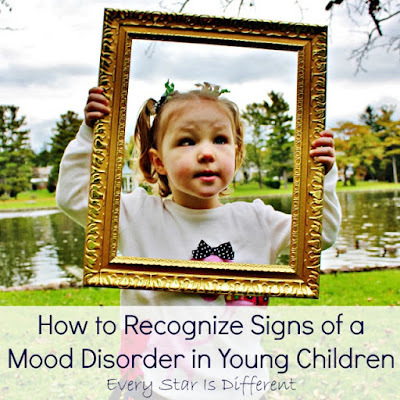 Sunshine was diagnosed with a mood disorder at age four after two years of observation by our developmental pediatrician. Part of this process was observing how Sunshine would respond to medication that treats a mood disorder. This occurred after we had tried treating her symptoms in every other way possible. Her behaviors related to her mood disorder and especially her manic episodes were severe, and unsafe for her and those around her. Sunshine was not sleeping. She would go into angry rages that would last for hours, becoming physically aggressive. There was no stopping or preventing manic episodes from occurring. Finding the right medication was our only option to keep our daughter safe. The process to finding the correct medication has been long and continues to be ongoing, but we know it helps her to function and be safe, and so we continue to move forward. 1.) 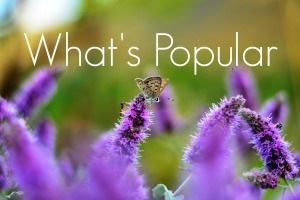 Are the behaviors or health issues severe enough to warrant the medication? What will happen if you don't try the medication? Is your child's life at risk? Is the life of others at risk? 2.) How will medication benefit my child? 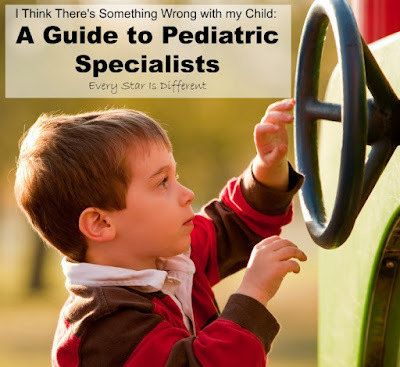 When faced with the decision, take into consideration why your child may need medication. If it works, will the child function better in their daily living? 3.) Are there any other methods you haven't tried and are open to, or prefer to try, before starting medication? Have you studied the sensory needs of your child? Is your child receiving therapies to help in troubling areas? Speak with your doctor and discuss these options. 4.) Are you aware of the possible negative effects the medication may have on your child? 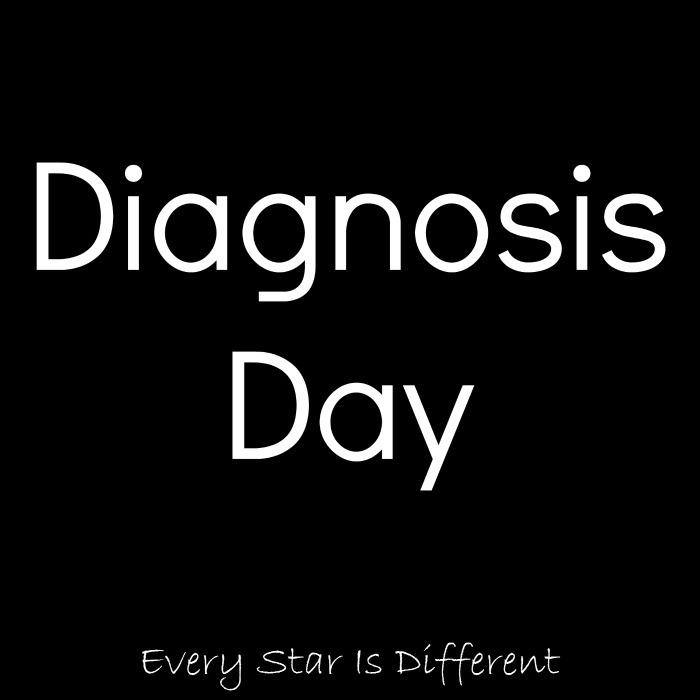 Make sure to fully understand what those may look like, so if you do see them, you can get help right away. 5) Do you trust the doctor that's prescribing the medication? Is your child being seen by a developmental pediatrician or specialist who specializes in the area of treatment you need? . No parent wishes to medicate their children, but when the situation arises, it's always important to be prepared and open for what may come. You are still the parent who knows your child best. With help, support, and the proper medical attention for your child, you can become even greater! What has been your experience, when choosing to medicate your special needs child? Wow, I can't thank you enough for such a great post. I ask myself sometimes if I should try to medicate my son, but you helped me find my answer. Thank you very much! I appreciated very much your post! I really appreciate you sharing your story. I sometimes marvel at how much our stories seem to parallel each other. The decision to medicate a child for behaviour and/or mental health issues is such a gut wrenching one. Thanks for sharing your heart - this post will be helpful to many parents! Your genuine honesty is so appreciated. Our oldest son is on meds for ADHD, and has been for three years. It was one of the hardest decisions my husband and I have made. I remember discussing our concerns with his teachers and one said to me, "If your child needed glasses, would you deny him?" Of course not! His academic journey has improved so much since then and while I still don't like giving it to him, I have come to realize how much it's helping him build normal social relationships and excel in school. We have gone over the years from no meds ,yes meds and then realizing that some recent severe physical problems were caused by the meds as the body could not eliminate nor process it all . I seem to understand now that for some, behavior problems have physical causes that need addressing . For one of ours it is MTHFR mutations . Now it is diet and less pills and ...still at the end of our rope . For our RAD child - meds and hoping for a breakthrough . There just are no black and white solutions . Thank you for sharing . Thank you for sharing with the #pinitparty. I am sure it will be a great help for other parents in similar situations. Thank you for sharing this. The choice to medicate or not is not an easy one, and it is absolutely crazy the grief some people like to give others for making choices that are best for their family.